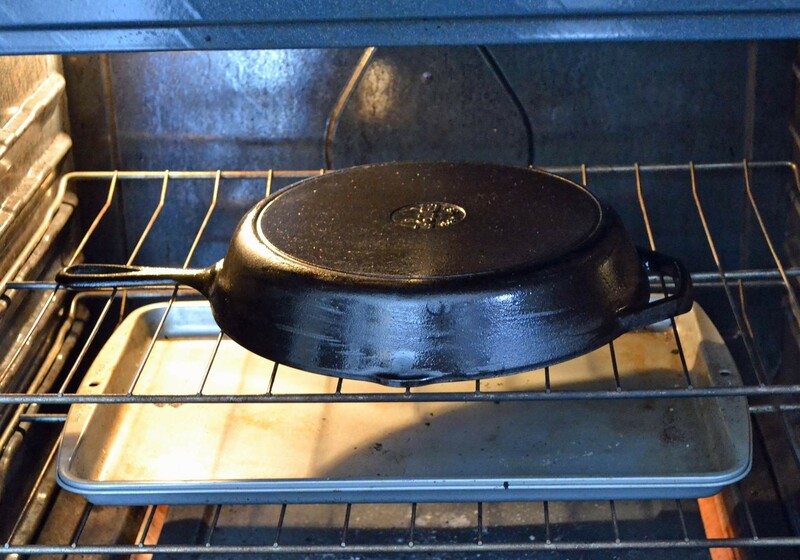 A guide to finding, cooking with, and maintaining a great cast iron skillet. We love our cast iron skillets here at T&T. Not only do they perform awesomely in the kitchen (once they get hot, they stay hot), but with proper care and maintenance they can literally last generations. If you’ve ever been lucky enough to be given a grandparent’s old cast iron skillet, relish this gift and take care of it. It will take care of you in return. In this guide, we will be covering some of our favorite gear, methods, and recipes for using and maintaining a great cast iron skillet. 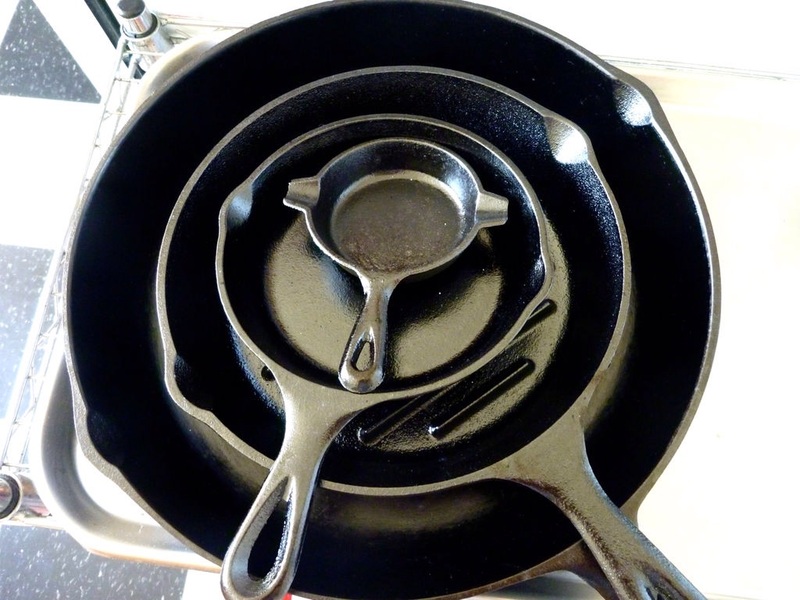 Whether you are a cast iron novice or a seasoned veteran (see what we did there? ), we hope you enjoy and learn something new from it. Inherit one — No, seriously. If you have a relative who is willing to part with a trusty old pan, or you manage to inherit a hand-me-down skillet that’s still in good shape (like an old Griswold or Wagner), thank your lucky stars. It is a gift to be cherished. The material may be the same, but the production methods have changed. In the old days, cast iron pans were produced by casting in sand-based molds, then polishing the resulting pebbly surfaces until smooth. Vintage cast iron tends to have a satiny smooth finish. By the 1950s, as production scaled up and was streamlined, this final polishing step was dropped from the process. The result? Modern cast iron retains that bumpy, pebbly surface. Find an old one somewhere — Not everyone is lucky enough to inherit a quality old pan. That’s okay — there are lots of places you can still find one. Yard/estate sales, flea markets, thrift stores, Craigslist, and eBay are the best places to start. You might have to scout around a while to find a great deal, but it’s worth it. Now, you may come across an old piece that is totally crusty or covered in rust, but that can totally be fixed later. The main thing to look for is overall build quality (general rule of thumb: look for a model that sits flat and has no cracks). Who knows, you may find a diamond in the rough that only runs you a few bucks! Crazier things have happened. One interesting place to watch is Best Made Co.’s cast iron collection, where they resell Griswold pieces they’ve discovered and restored themselves. Given the nature of these findings, their inventory is typically low or out of stock, but it’s worth checking back every once in a while. Buy one brand-new — When all else fails, a brand-new pan is still a fine choice. Not as good as the old stuff, but it works. And hey, at least there’s less up-front maintenance to worry about, since all modern cast iron skillets are pre-seasoned. 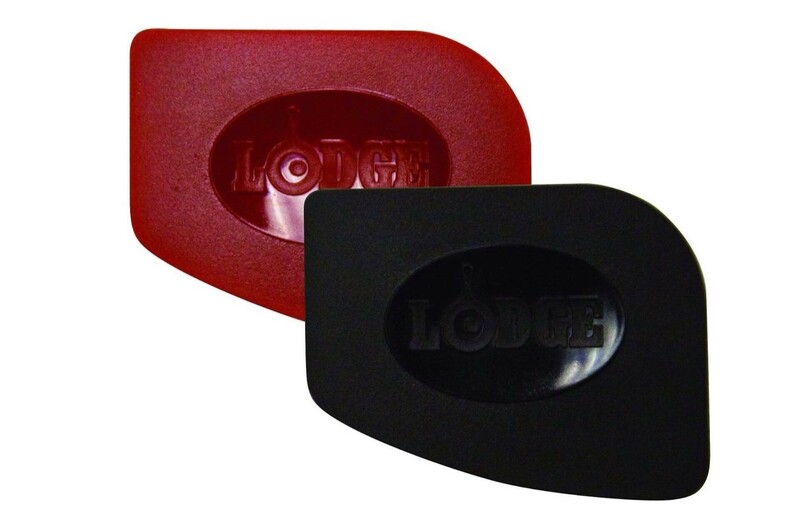 The two brands we keep in mind for buying new cast iron are Lodge and Finex. So, you’ve acquired a skillet — now what? First, you’ll need to properly season that bad boy. Even if you think it already looks fine, season it yourself anyway. Yes, this includes the pre-seasoned new ones. Seasoning is what makes cooking with cast iron great. 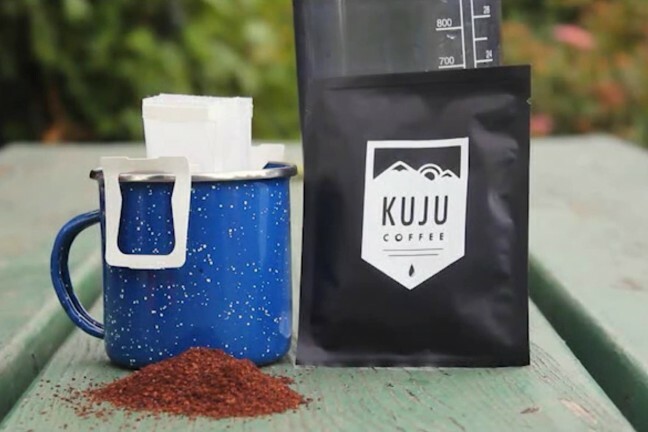 The concept is simple: take a thin layer of oil, heat it just past its smoking point for a while, and it breaks down into a nonstick, plastic-like substance that chemically bonds with the iron (this is a process known as “polymerization”). Do this enough times and you’ll have a pan that can perform on a level with any nonstick skillet out there, without involving any weird chemicals. Assuming the pan isn’t in bad enough shape to require a total restoration (which we’ll discuss in the next section), the seasoning process is fairly simple. All you need is oil, heat, and time. Though many people in recent years have recommended using flaxseed oil to season with, we prefer good ol’ Crisco shortening. You can also use lard, vegetable oil, olive oil, peanut oil, or coconut oil. Whatever you like. Keep in mind that you may have to season the pan a few times before it takes on true nonstick qualities. Of course, simply using the pan over time, especially for frying, helps quite a bit. When it reaches temp, place the skillet face down on the top or middle rack. If the pan has already been seasoned previously, place a foil-wrapped cookie sheet on the bottom rack to catch any oil drips. The point of heating up the skillet this way is that it opens up the metal’s pores so as to better accept oil in the next step. After about ten or fifteen minutes, take the pan out — don’t forget to use a potholder or oven mitt! Using a cloth or paper towels, cover every surface of the pan, inside and out, with the shortening/lard/oil of your choice. The key here is to use a very light amount of the stuff — say, a teaspoon or so. If the bottom of the pan ends up sopping wet with oil rather than sporting a nice glossy sheen, you’ve used too much. This can cause sticky, lumpy spots to form rather than a nonstick surface. In fact, wipe off as much excess oil as possible before the pan goes back into the oven. It should look relatively dry, almost as if there’s no oil on the pan (there is though, not to worry). Place the pan back in the oven, then turn the temperature up to 300°F. At this point you may want to crack a window or two, because things will get smoky in a bit. After another fifteen minutes or so, take the pan back out and give it another good wipe-down with your cloth or paper towel. You may notice some splotchiness to the oil, especially along the inner bottom surface. That’s exactly why we’re wiping it down again, to prevent the oil from pooling and creating sticky spots. This is a critical step for awesome seasoning. Place the pan in the oven one last time, and crank it up to 400°F. This time, leave the pan in there for about two hours. After two hours, turn off the oven and leave the pan in there to slowly cool. We usually leave ours until the next day, then cook something nice and fatty with it, like a bunch of bacon or fried potatoes. 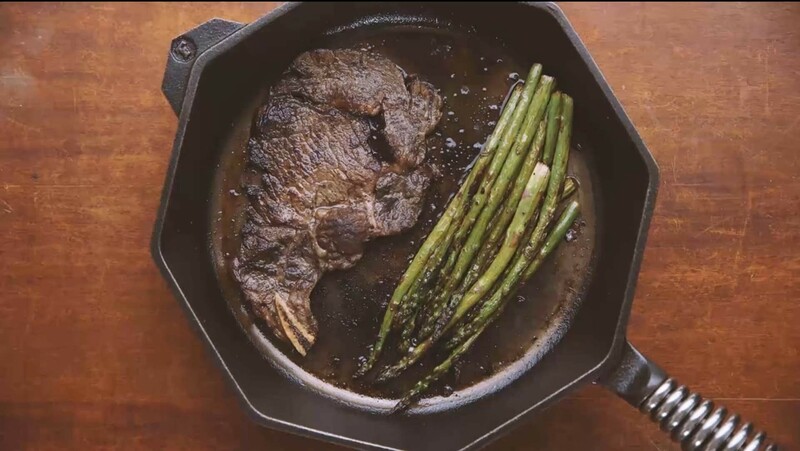 Enjoy your beautifully seasoned skillet! Sure, this whole process sounds tedious at first, but there’s something Zen-like about the project that we both enjoy and take pride in. Don’t panic — we can fix this. It’s all going to be okay. Self-cleaning oven cycle: If your oven has a self-cleaning feature, this is a great use for it. The super high temperature (~900°F) will strip the pan down to the bare metal, leaving it a dull gray. As with seasoning, make sure the pan is in the oven face-down during this process. Afterward, simply toss the black ashes into the trash and re-season the skillet as needed. It may take several seasonings to reach a proper patina. Your mileage may vary. If you don’t have a self-cleaning oven, consider using a fireplace or campfire. Set the pan directly onto the hot coals, leave it until it’s cooled off the next day, and voilà. An outdoor grill can also do the trick. Everyone has their own methods for cleaning cast iron. My style is a combination of the methods of others and a little trial and experimentation of my own (this is why I’m a scientist, I guess). The method below can be used for black cast iron, nickel or chrome coated iron, but NOT porcelein coated or aluminum. Using minute, spherical glass beads, as in beadblasting, will remove paint, crud, and rust like crazy, while actually burnishing the surface of the underlying metal. I’ve had a good deal of experience with glass bead blasting – to the point where I built my own blast cabinet, and it’s safe and effective. 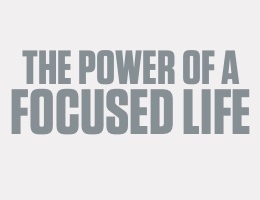 The hands-on approach: Just watch this video. He uses the self-cleaning oven method outlined above, but he also takes a drill with wire wheel attachment to the pan’s surface to really smooth things out before seasoning. Cleaning a cast iron skillet is the subject of much debate. 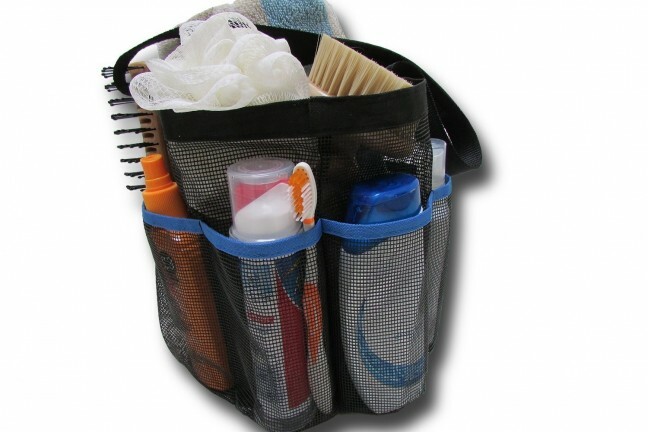 Is it safe to use a scrubber? What about soap, doesn’t that ruin the seasoning? The list goes on. On the soap issue: most modern soaps are not intense enough to affect a good layer of seasoning. You can go ahead and use a little dish soap and hot water without fear, though we understand if you still prefer not to. 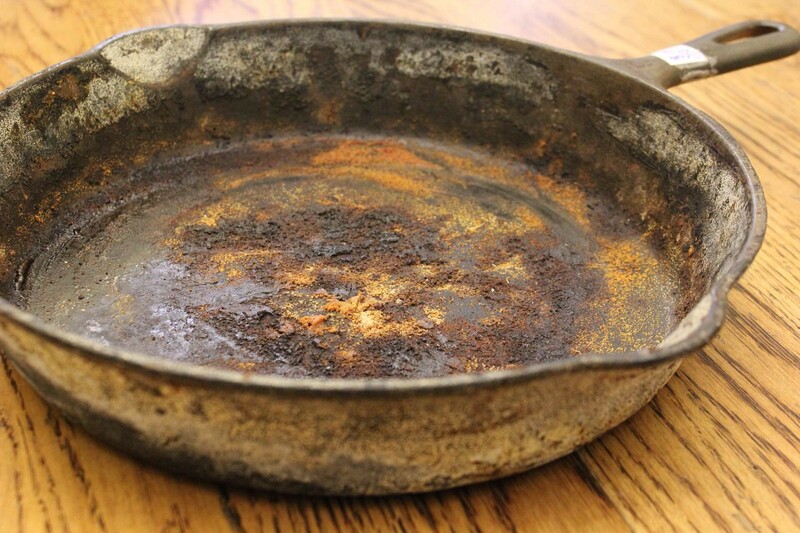 What you really want to avoid is leaving any water on the pan for too long, as that can cause it to rust. Definitely do not run this thing through the dishwasher. Allow the pan to cool a little after cooking (to ensure the metal isn’t stressed when placed under running water). Scrape any gunk off with a skillet scraper like the ones we’ll mention in the next section. Alternatively, you can use some kosher salt and a scotch pad to remove any particularly stubborn food matter. Dry the skillet well and heat it back up on the stove. This evaporates any extra water and reopens the iron’s pores. As soon as a little smoke comes off the pan (or the part of the handle that connects to the pan is hot to the touch), turn off the heat and rub a small amount of oil/lard/shortening all around the surface — top, bottom, around the sides, and all around the handle. Again, wipe off any excess when you’re done. Leave it on the stove to cool. Most cast iron skillets aren’t equipped with heat-dissapating handles like the ones made by Finex. That means they get hot while cooking, even if they’re not directly over the heat source. This handle mitt makes, er, handling the pan way easier — and in a non-clunky way. Just slip it onto the skillet handle and boom, you can comfortably hold the skillet without fear of burns. The mitt has a scorch-proof coating to protect itself against steam burns, and it resists temperatures up to 450°F. 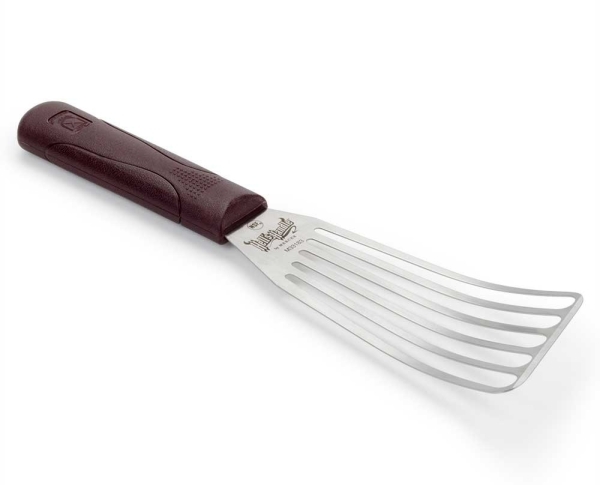 Despite its name, this spatula isn’t just for flipping fish — it works just as well with burgers, steaks, stir-fry, cookies, casseroles, lasagna, and more. The combination of its shape, thinness, and flexibility allows it to wriggle underneath foods without disfiguring them, but it’s also strong enough to lift relatively heavy foods with no problem. The nice part about using it with cast iron is that neither its stainless steel blade or polypropylene handle will melt just from resting on the edge of the pan. And don’t worry, unless you’re gouging the metal or something, your seasoning will remain intact despite the spatula’s hard edges. These little guys are made of hard plastic (#3) and make it easy to remove stuck-on food from a cast iron skillet without damaging its seasoning. Also works on non-stick skillets. I like that they’re shaped in such a way that you can get into the “corner” between the sides and bottom of the skillet without too much trouble. We’ve heard of people using bamboo wok cleaning brushes and chainmail scrubbers to great effect, but we have no first-hand experience to speak of. Really, you can cook just about anything in a cast iron skillet (though you might want to avoid acidic foods such as tomatoes and lemons if the seasoning is on the younger side). It’s especially good for searing steaks and cooking “southern comfort” (i.e. fried) foods like potatoes, cornbread, bacon, and eggs. Like the hero image at the top of the page, the tantalizing image above was taken from this Vimeo video by Finex. Get the pan blazing hot, evenly coat the bottom using some oil of your choice (we like olive oil), cook the steak for two or three minutes on each side, add some butter near the end and ladle the bubbly stuff over the top of the steak as it cooks, then take out steak and let it rest on a plate a few minutes before eating. Cornbread: There is no shortage of skillet cornbread recipes out there, but if you’d like to try one that’s a bit on the sweeter side, check out the New York Times‘ brown butter skillet cornbread. Holy wow. Potatoes: It’s hard to mess this one up. Dice a potato or two however you like, put some oil (peanut oil works nicely here, if you’re not allergic) into the hot pan, put enough diced potatoes in there to cover the bottom without everything overlapping, season however you like — we recommend seasoned salt or cayenne pepper — and cover the pan with a ventilated lid. Flip them over halfway through and season the other side. When they’re done, remove the potatoes to a napkin-covered plate to cool off. Bacon and eggs: C’mon, you know this one. Fry some bacon, drain most of the grease when it’s done, fry eggs in the leftover bacon grease. Classic. There are so many other recipes that work well in cast iron that we can’t possibly list them all here. 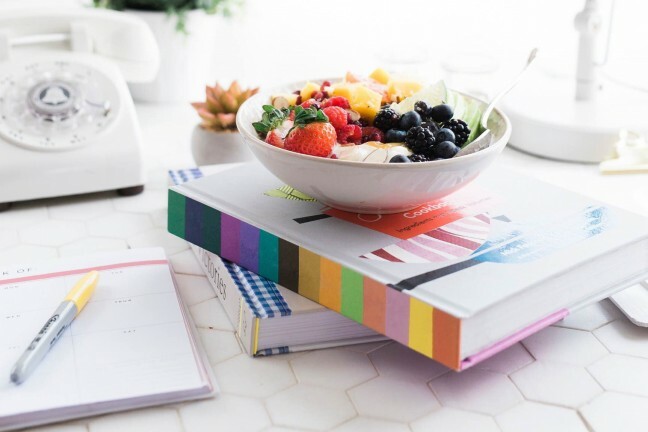 There are entire cookbooks devoted to the subject, even. A Google search for “cast iron skillet recipe” alone turns up tons of delicious things to try. Do some digging and figure out what works best for your needs. The most important thing is to have fun with your cast iron skillet! 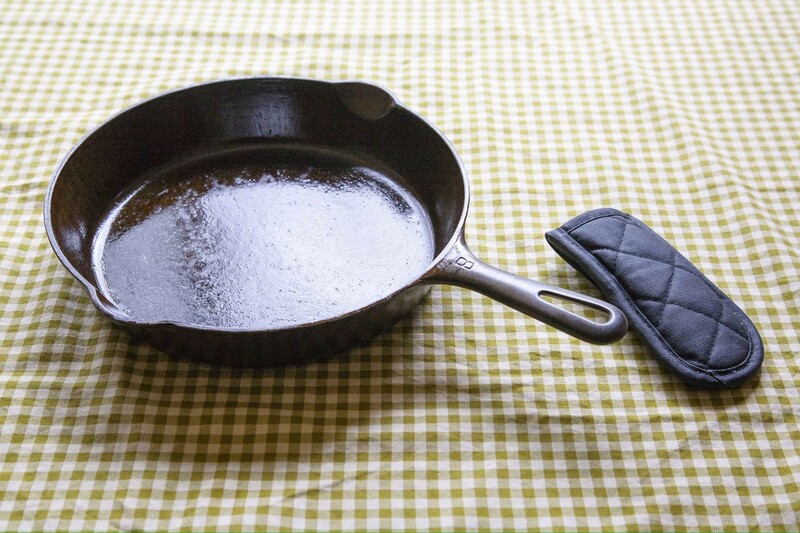 With a little TLC your skillet will probably outlast you, and it will produce some delicious meals along the way.